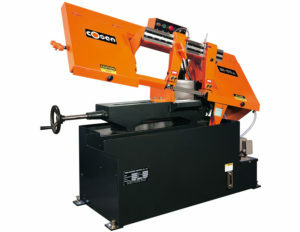 Manual horizontal bandsaws are the most popular and widely used entry level band saws. 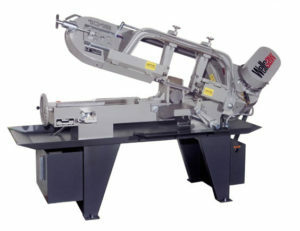 A manual bandsaw means the saw operator must manually load the material into the saw, manually clamp the material, and manually start the cut. When the blade completes its cut, the machine will shut down. Manual Mitre Head Band Saws – If your saw cutting ever requires mitre cutting, the best, most efficient way to cut, is with a saw where the head moves to provide quick cuts, without your material sticking out in your shop. Portable Convertible Band Saws – When you need to move your saw around your shop or job site, a portable bandsaw is the option for you! 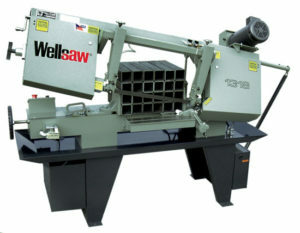 All of these saws can be carried by hand, or moved around by utilizing the heavy duty wheels attached to the saw. 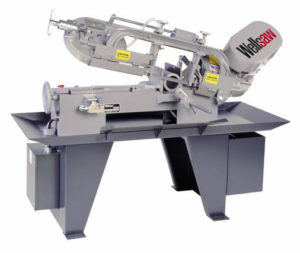 Accurate, well-built, and portable–the most versatile option for the contractor or fabricator.